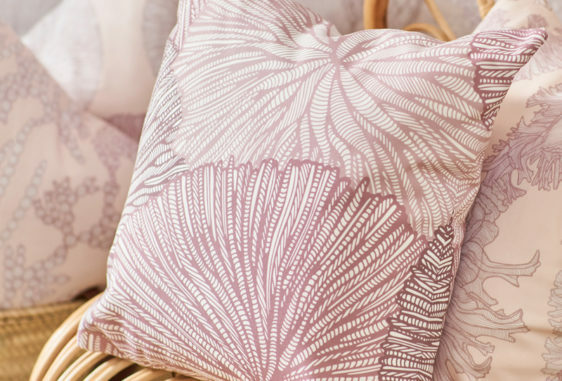 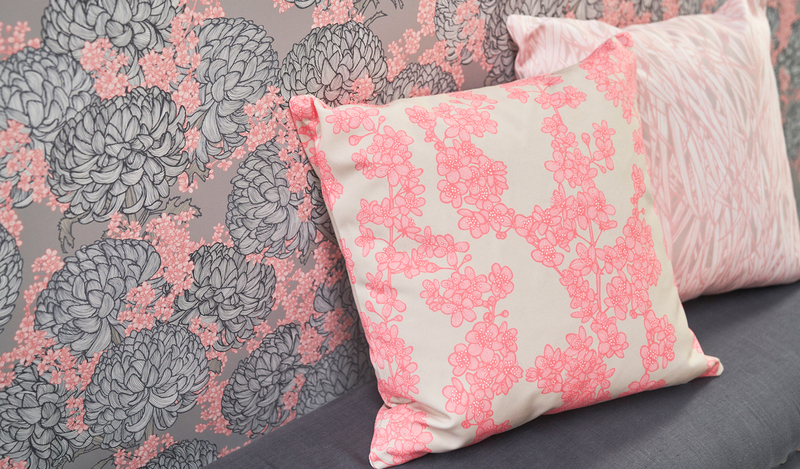 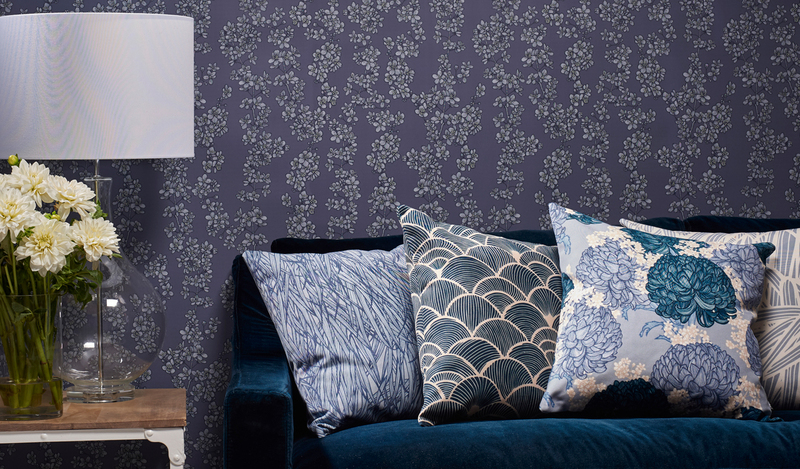 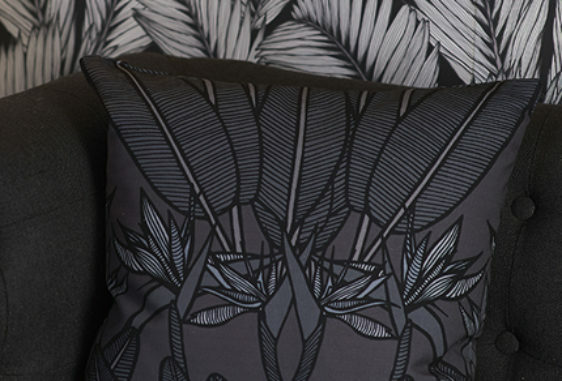 The Cherry Blossom design is part of the Tranquil Lines Collection. 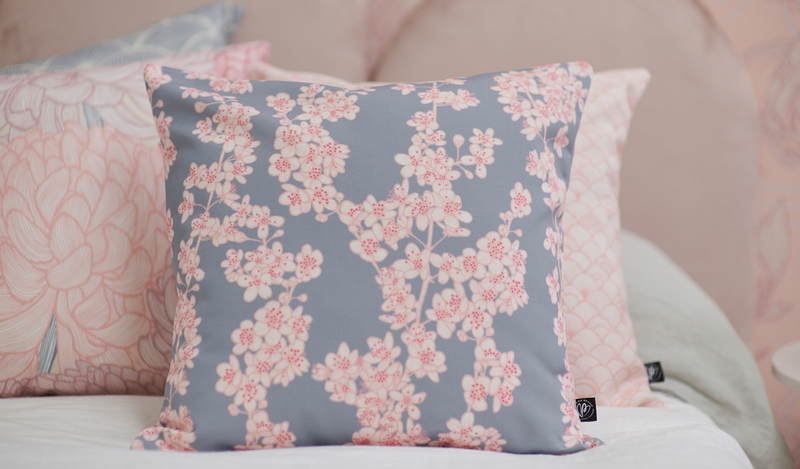 The delicate petals and the diagonal branches of the Japanese Cherry Blossoms captured my imagination and inspired my Cherry Blossom design. 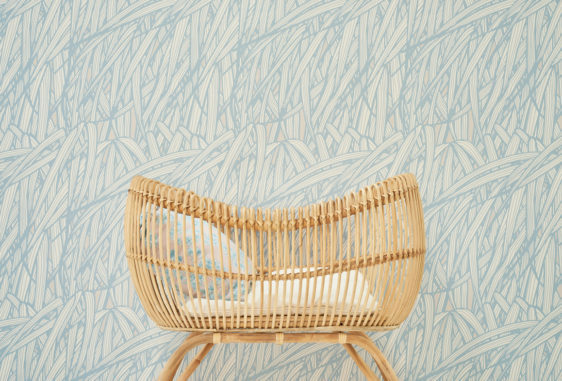 I was inspired to illustrate the Japanese forest grass called Hakone, the movement and long blades of grass created a beautiful woven-style pattern….